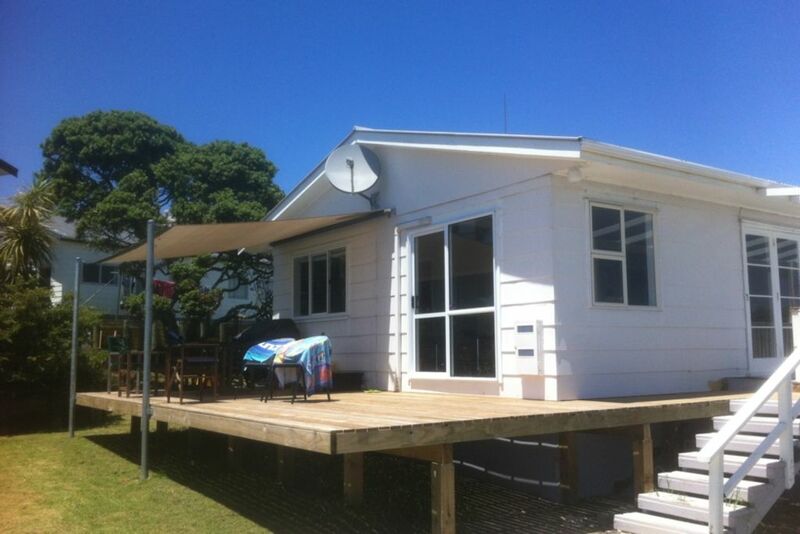 Holiday home in the heart of Cable Bay and 200 metres to the golden sands and a little surf. 180 degree uninterrupted views of Doubtless Bay from most rooms of the house. Decks off the living area and private deck off main bedroom. Located 2 km from Coopers Beach shopping area and 2.4 km from Taipa shops and service station. Cable Bay store for that icecream is 200 metres across the road from the beach. Enjoy the sunrise and sunsets from this fabulous location or take the Kayak down to the beach and set off for a snapper in Chucks Cove ( it will reward you). Room for a tent on the back lawn if required and plenty of room to park the boat on site with easy access off the quiet side road. Close proximately to Coopers Beach, Taipa Beach and boat ramp not to mention historic Mangonui and it's famous Fish and Chip Shop and fabulous cafes like my favourite The Waterfront Cafe. Property is not fully fenced but will allow pets on request. Lovely property, great sea view. Has everything you need and beyond! Very well appointed, comfortable, and a great place to stay. We enjoyed our time there, good centre for exploring area and shops and restaurants close by. Comfortable house with everything you need. Wonderful views from every room. Great deck for having a few drinks and enjoying relaxed lifestyle.